The world-renowned SEMA show in Las Vegas is the USA’s premier trade event for the aftermarket tuning and styling industry. As you would expect of a show hosted in Vegas, craziness is expected; especially from the stand-out machines displayed on the manufacturers’ booths. 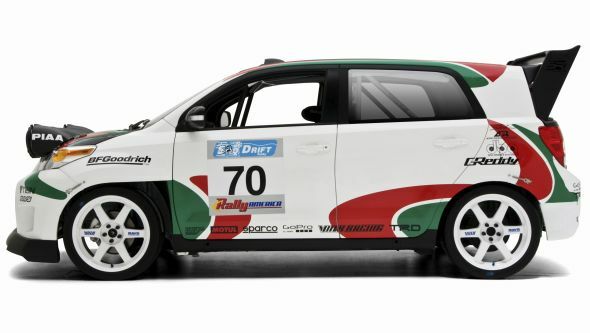 For the 2010 show Toyota put on a trio of customised cars, one of which was this transformation of an Urban Cruiser into a full-blooded rally car. A race-style interior, multi-point roll-cage, coilover-type suspension, limited-slip differential and performance exhaust system were all included in the competition makeover. Attention to detail extended to the car being equipped with a rally timing computer and on-board HD cameras. 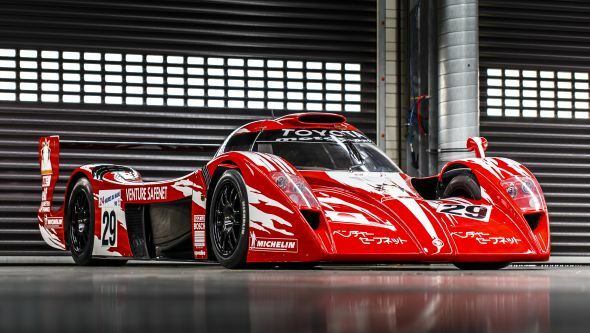 The concept was all wrapped up in a livery that paid homage to Toyota’s successful World Rally Car heritage. Learn more: Toyota will be bringing some of its classic rally cars to the Goodwood Festival of Speed this weekend. Click the following link for a list of vehicles that will be in attendance. This week’s #ThrowbackThursday remembers one of the rarest models Toyota has ever produced for the UK market. Inspired by the Corolla WRC that so nearly won the 1998 championship, the Toyota Corolla G6R was introduced in late-December 1998 in a limited run of just 420 examples. 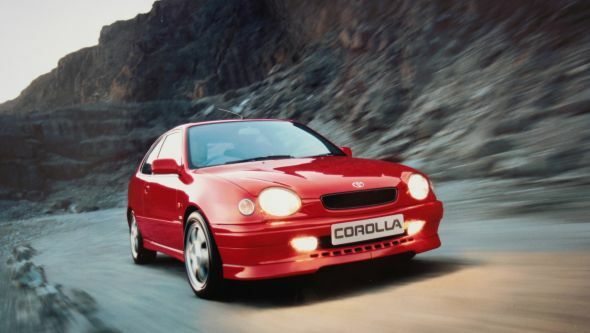 Based on the popular three-door Corolla G6, the G6R was available in either Sunburst Red or Satin Black metallic and was the sportiest model in the range thanks to its 109bhp 1.6-litre 16v engine and close-ratio six-speed gearbox. More than just a powertrain enhancement, the G6R featured a weight-saving aluminium bonnet like its rallying cousin, TTE front lip spoiler and side skirts, unique six-spoke 15″ alloys, disc brakes all round, and G6R badging. Inside were reclining sports seats, oodles of red stitching and an attractive honeycomb-style instrument cluster. Unlike many homologation specials, the Corolla G6R delivered its thrills without penalising the bank account. It cost just £820 more than the closely related 1.3-litre G6, and was inexpensive to run and insure. Soon after the FIA introduced the new Le Mans Prototype (LMP) regulations in 1992, Toyota was forced to retire its TS010 racer, which had been built to the previous Group C endurance regulations. Its replacement, the dramatic GT-One (pictured), didn’t arrive in LMP specification until Le Mans in 1998. While some assume the six-year wait before returning to Le Mans was because Toyota was concentrating on its IMSA efforts in the United States and the building of a new CART engine, the reality was a little different. In 1996, Toyota funded a low-budget development of an experimental LMP in association with TOM’S. Called the TOM’S Toyota LMP but unofficially named ‘Lumpy’, the vehicle reused a Group C specification 3S-GTM engine from the 88C allied to simple but aerodynamically effective bodywork. Three tests were apparently carried out, all of which were deemed successful. Unfortunately, Lumpy never raced officially and the vehicle was destroyed (as well as all official photographs) before the arrival of the GT-One. 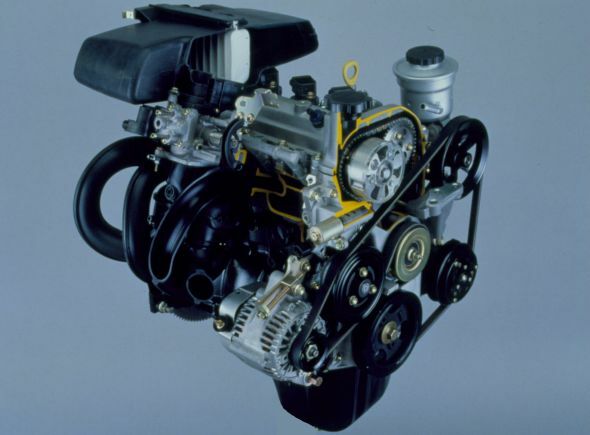 In 1999, the 1.0-litre 1SZ-FE installed in the newly launched Toyota Yaris was voted the best engine in the world at the inaugural International Engine of the Year Awards. Nicknamed ‘Mighty Atom’, the 998cc and 67bhp Yaris petrol engine not only won the ‘Sub 1.0-litre’ category but beat every other engine in mass production that year, including the latest offerings from Ferrari, Porsche, BMW and Mercedes-Benz. The 19 automotive experts in the judging panel praised the 1SZ-FE for its fuel efficiency, eco-friendliness, advanced technical content (a highlight of which was Toyota’s recently introduced VVT-i variable valve timing) and good driveability. “Its power and refinement belie its small capacity,” said one judge, while another commented that it “performs like a far larger engine but is incredibly fuel-efficient”. Would you have agreed with their findings? More information: The three-cylinder 1KR-FE engine that replaced the 1SZ-FE won the ‘Sub 1.0-litre’ category of the International Engine of the Year Awards four years running, from 2007 to 2010. Did my driving lessons in a yaris with one of those. Brilliant little engine. Thanks for your post Patrick.